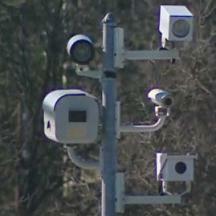 According to a report on WJLA news, an 87 year old woman from Baltimore has received three speed camera tickets from DC in a 4 month period of time, without ever having actually driven in the District. The citations depict three different vehicles, none of which belong to the woman, Miriam Singer. DC voided the citations after being contacted by ABC News 7 stating "This appears to have been human error". All DC citations are supposedly reviewed by humans before being issued. DC's automated enforcement programs brought in approximately $95million in revenue last year.